Millennials are all about making things less high maintenance. The easier, the better. Whenever I travel, I try to find ways to make it more comfortable. The agenda is always to eliminate stress (because stress can definitely ruin a vacation). 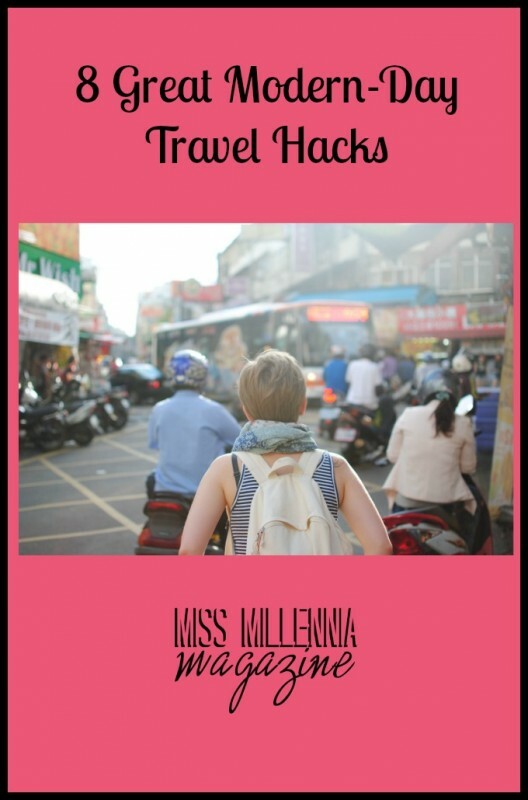 So—for those of you who are sick of getting jipped at every turn—I have compiled a list of eight of the greatest travel hacks in 2014 from experience and research. Call your credit card company before you leave. This isn’t so much a hack as common sense. This is especially important if you’re traveling internationally. If you don’t let your credit card company or your bank know that you will be out of the country, they might flag your card or shut you out (Because let’s be honest, if purchases pop up in Moldova when you’re supposed to be in Kansas, it looks suspicious!). To ensure that you won’t be stranded in another country with no money, give your bank an itinerary (or as close to one as you can get) of your trip so they’ll know what to expect. Bring an empty water bottle to the airport. I wish I had thought of this before. It’s so simple, and yet we constantly fall prey to overzealous airport security who confiscate our half-full bottle of water and toss it, leaving us thirsty and stuck purchasing another one at an inflated price. Next time you travel, try bringing an empty water bottle; that way you can get through security and then fill it up at a water fountain by airport bathrooms. A tried and true method, I’ve been doing this for years. 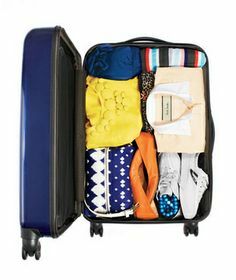 When you’re packing your suitcase, roll your clothes to ensure more space. Additionally, this cuts down on wrinkles. Use pill containers to store jewelry. Another hack I’ve been doing for years. Every summer when I would come home for my off-semester, I would sort my jewelry into the little cubby holes—one for each set of earrings or necklaces—to ensure that they stayed together and untangled. Shower caddies make great food holders. For car trips, one of the biggest pains is trying to keep your meal on your lap and not on the floor. One way to keep it all in one place—without losing your fries to the black hole that is the underside of the seat—is to place it all in a shallow basket. Similar to how old-fashioned burger restaurants bring out your meal, the basket is especially helpful in the car as it can be used again and again. Use a pot holder as a case for your hair tools while they’re still warm. Where has this been all my life? Forget traveling, I need this at home! Nonetheless, this is great for travel–especially when you have to pack up and leave in a hurry. A pot holder not only allows you to leave without burning any of your clothes and belongings but also keeps your curler/straightener wrapped up and contained in one place. Use contact cases to transport liquid makeup and lotions. Checking baggage isn’t always an option (especially when each of them can cost upwards of $50!). So how do you otherwise bring your makeup/face wash/lotion bottles? Depending on the length of your trip, you can place small dollops of these things in contact cases (which are made to carry liquid, so you know they won’t spill). I will definitely try this the next time I fly! 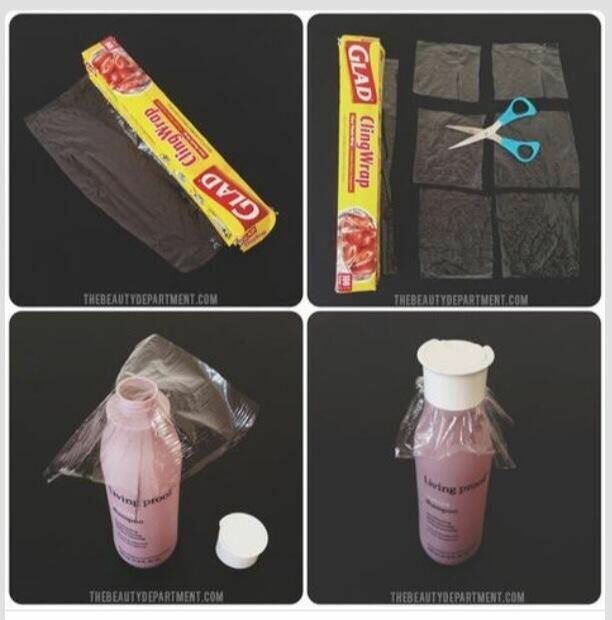 Use plastic wrap under bottle caps to prevent leakage. When you are checking baggage and want to bring normal size bottles of things like shampoo, perfume, etc., try placing a piece of clear wrap over the opening and then screw the lid on. This will help to keep your things from leaking into your suitcase and onto your clothes. Also, it doesn’t hurt to put those bottles in freezer bags, just to be safe; that way, if they do spill, they will still stay contained. How about you? Have you tried any of these? Have they worked? Are there any travel hacks that you have found useful? If so, let us know!